Effective web design is not based on one thing. Use of colour is important, however the colour should not overwhelm the visitor. You want the visitor to be drawn to your product or service, not how bright the red background is. If the brightest colour directs the attention to the centre of the page, or the navigation bar, that can work to your advantage. But, if the brightest colour is on the sides or borders of a page, that will draw the reader’s attention to the periphery. It will be more difficult for him to concentrate on the centre of the page where, most likely, the main points you want to stress are located. A visitor to a website is looking for quick, easy answers to the questions he has. For example, if he is looking for cheap airline tickets to travel to the UK, he does not want to pause to read an extensive history of Stonehenge and the mystery behind its creation. He wants to know how much he will be paying for airfare. Someone who is looking for a new car wants to know gas mileage, speed and safety records. He does not want to read an interesting anecdote on how Henry Ford manufactured the model-T back in the day. In other words, he wants to move fast from the question he lands on the site to ask to getting an answer. The website visitor wants basic information presented in a concise, easy to comprehend fashion. If visitor is bombarded with stories or extraneous information he did not ask for, he will move on to a competitor’s website. You must deliver information fast to keep his attention. 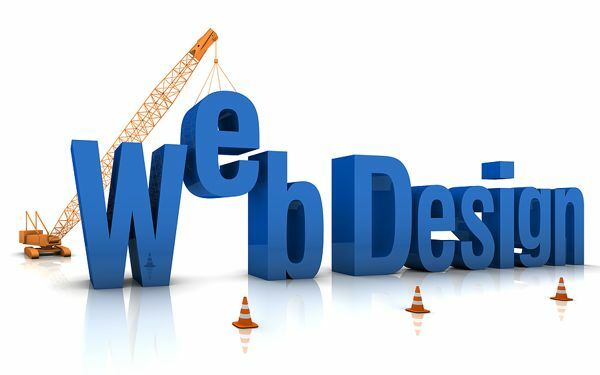 A successful web design will be pleasant to look at, but it is not a beautiful painting to stop and admire. A good design takes the visitor easily from one page to another. It provides easy navigation including a back button to return to the home page fast. It may be important for the site to look good, but that is definitely not the most important feature.